100% Pashmina shawl/wrap handmade in Nepal. Very beautiful and ethereal. It is soft, luxurious and light as air. Goes from cold winter morning to cool summer night. Keeps you warm and chic. 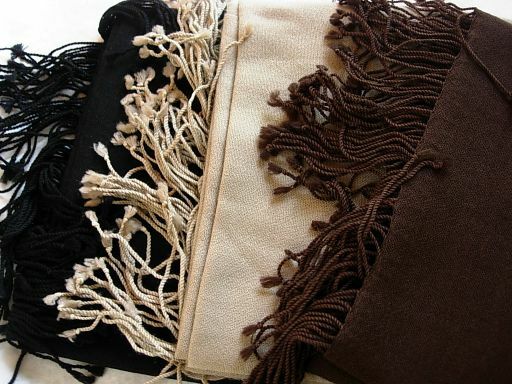 Like the little black dress, Pashmina should be one of the staples of your wardrobe. The Length is 81" (not counting the 4" fringe on both sides) and width is 29.5. 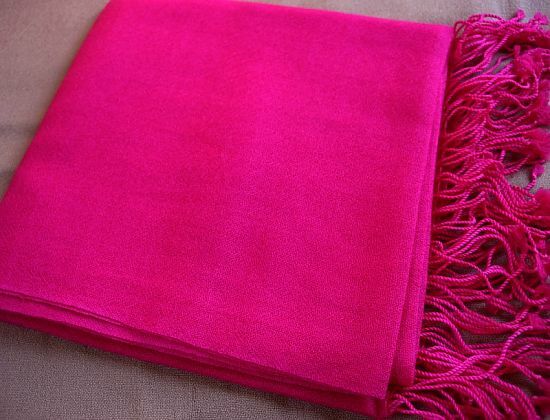 Our price of this 100% Pashmina shawl/wrap is lower than pashmina/silk blends sold at retail stores. 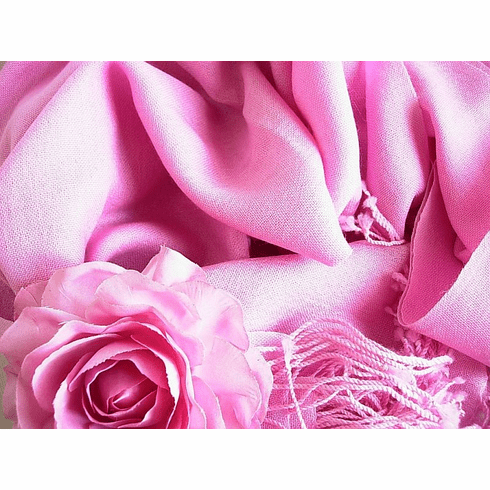 Pamper yourself or someone else with a warm wrap made of 100% Pashmina.